Our objective for the past eight years has been to make IT invisible for our customers. We believe they shouldn’t have to think about how their IT functions. It should just work – and they should just be able to consume it. Since our inception in 2010, Atlas Cloud has championed cloud computing for the modern workplace. We’ve improved flexibility, productivity and work-life balance for thousands of users thanks to our innovative solutions, and we continue to do so. On top of that, we manage scalability for growing businesses – like Atlas Cloud – who need to scale quickly and cost-effectively. At Atlas Cloud we practice what we preach. Each member of the team has a Hosted Desktop, meaning we reap the same benefits that our customers do: total flexibility and increased productivity. In fact, all the services and products we sell are used by the Atlas team, so we know that they’re in fit shape for our customers. We continuously invest in our employees at Atlas Cloud to make sure they have specific and relevant training that will help them excel in their role. We’re keen for our employees to take advantage of the flexibility that our solutions provide, to ensure that they live a healthy and fulfilled life. Life at Atlas is challenging, but in a good way. The company is full of dynamic individuals who are free to be innovative and feel impactful and influential. As a team we like to challenge ourselves. Over the years we’ve taken part in numerous events to raise money for charity including: Tough Mudder, Byte Night Sleep Out, 3 Peaks Challenge, 150K bike rides, the Great North Run and Total Warrior. 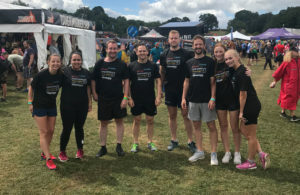 Next year some of our team members are stepping up to face the Rat Race – a 20-mile long obstacle course. As the fastest growing tech company in the North East, we want everyone to feel like they can be heard. We use Hive Surveys to keep communication channels open between management and all staff, something which has been a great benefit to the business. Answers are submitted anonymously and action is either taken immediately or plans are shown to illustrate what will be done to accommodate any issues. Results from these surveys have been responsible for weekly fruit deliveries for all to enjoy, Atlas Cloud branded polo shirts, and a big favourite in the office… a toaster! 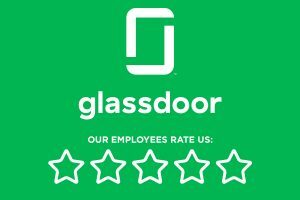 As a company that works to make communication and collaboration easier for our customers, tools like Hive and have helped us immensely in recruiting the right people and creating a better atmosphere for everyone. It is thanks to this approach that we employ some of the best technical people in the North East and boast an award-winning Service Desk team.